Lemon Inkwell: How Do You Like Them Apples? 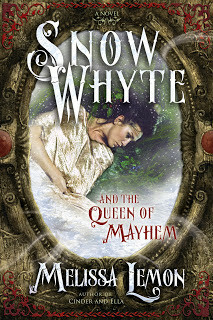 Check out this printing of Snow Whyte and the Queen of Mayhem. I received it a couple of months ago from my publisher who received it from the publisher that currently owns the English rights to this book. Apparently they made a paperback. I actually like this cover better than the original hardback cover. Did you know? The first draft of the original cover had an apple in it? True story. I asked them to take it out because while apples are a big part of Katiyana's life, she doesn't ever eat a poisoned one. It just didn't fit. 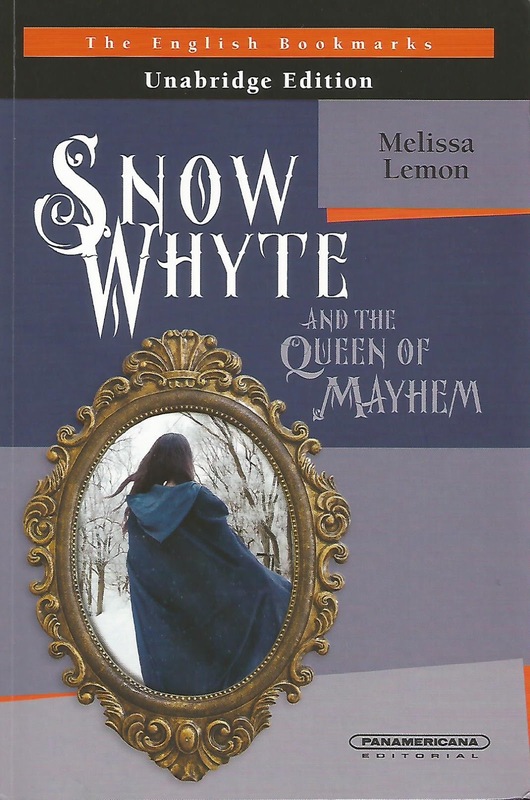 Anyway, I like this cover much better than the original because it's a bit more benign. I think the Katiyana on the original cover looks a little too mature and possibly even seductive. I didn't think so when it first came out, but my husband and I have the cover of this book on our debit cards and have seen some interesting responses to it. One woman even asked me if I was okay that my husband had that picture on his card. Um, it's a book I wrote, lady. A rather nice one, thank you very much. Get your head out of the gutter. I have three copies of the paperback book pictured at the top. What to do with them? Maybe I'll have to do a giveaway soon. 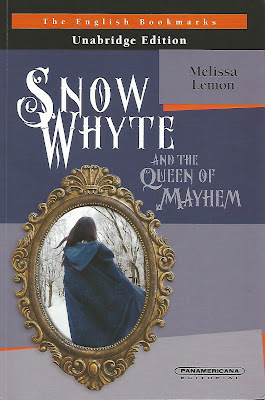 Oh, and don't you love the typo on the front cover? This "UNABRIDGE EDITION" is only available in Central and South America.